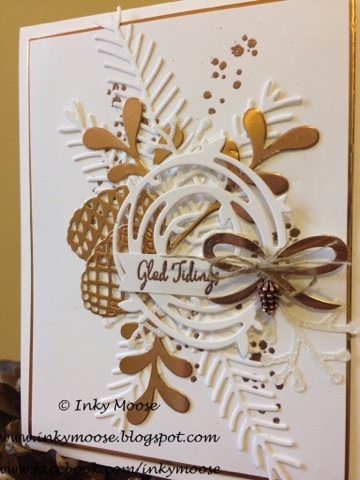 Here's another sample from my Inspiration Station at East Coast Stampin's Christmas Event. 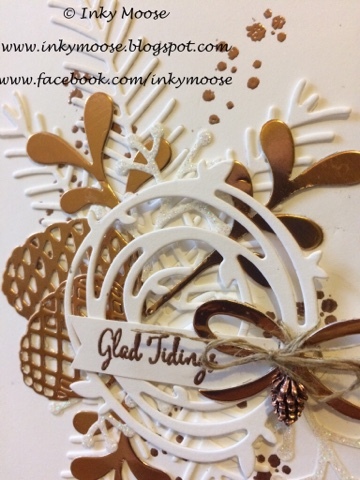 I've used white and copper and love the clean elegant look it created. Of course I couldn't resist adding one of the sweet Pinecones charms!